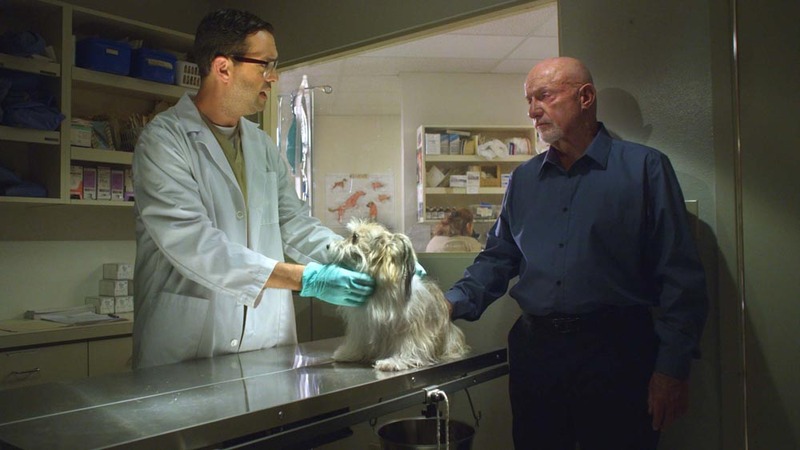 There were a lot of outstanding things about Breaking Bad — Superb acting, fantastic set pieces, sizzling dialogue, firebrand plotting, and of course, Walter White. A great number of these things have transitioned to Better Call Saul. Setting is the same, the format is pretty close, the same caliber of dialogue and character depth is certainly present. Still, something’s missing, which isn’t a firm critique because I think it’s a tad unfair to contrast this show with one of the greatest in the history of the medium, even if it is a spin-off/prequel/sequel. Heisenberg was the unequivocal lapidary element of Breaking Bad, a character excellently written and keenly portrayed by Bryan Cranston. Walt had a nebulous duality that made him notoriously hard to define, but the prevailing aspect that spoke to wide swaths of the audience was witnessing the trodden upon genius finally getting the respect and admiration he never seemed able to achieve. We rooted hard for that capable underdog even though he lied incessantly to his wife, murdered a person within the first few episodes, was irrationally stubborn and ornery, and gleefully produced a substance which has put countless lives in jail cells and graves plots. 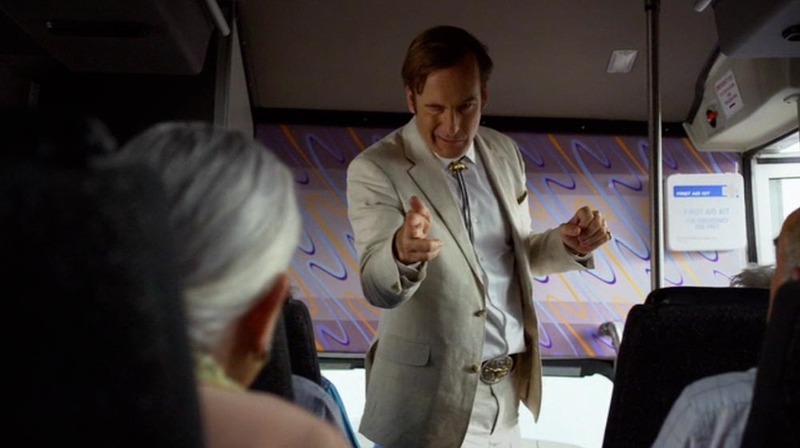 Jimmy McGill is not Walt, in fact, he’s Anti-Walt, as he was initially created as a lewd, loquacious counter to the terse and subdued criminal chemist. While Better Call Saul is good, real good, its main character has lacked the magnetic charm of W.W., which isn’t a knock at all. I like Jimmy. We all like Jimmy. That’s basically one of the main tenants of the character. It wasn’t until the closing moments of “Amarillo” that I finally felt that same pull toward the protagonist that I felt during Breaking Bad. When Jimmy is ripped into by his livid boss, Clifford Main, I got a little riled up myself. Why you giving my boy a hard time, Cliff?! Let him do his thing! That “thing” is a commercial designed to convince Sandpiper Crossing residents to join a class action lawsuit. This unsanctioned act was pure Jimmy, calculated and clever and subtly misleading, both in content and enactment. The episode’s opening scene sparks the theme, following Jimmy to Texas so he can coyly sway a pack of Sandpiper Crossing residents on a shuttle bus. In some ways Jim is the ideal cartoon lawyer; He’s the Mad Magazine version of an attorney. The guy most aware of this, the man who once referred to Jimmy as a “chimp with a machine gun,” is Chuck and that’s the guy who immediately calls him out at a subsequent meeting by warning that an accusation of solicitation could tank the whole case. Jimmy deftly explains the discrepancy of how he was able to obtain two dozen new clients through one written response but it’s apparent both to hero and audience that big brother is most definitely watching. Meanwhile, Kim Wexler is also looking over Jimmy with a judging eye, consistently and firmly reminding him that he can easily achieve all he wants while also doing it the “right” way. The thing is, Jimmy does seem to make a loyal attempt to operate within the borders of law and integrity. In order to acquire more clients the commercial idea is pitched to bossman Main and he responds by expressing openness to it. Despite a firm green light Jimmy trudges forward, first researching Davis & Main’s previous attempt at TV advertising, a monotonous string of words on top of a blue amoeba background, and then hiring some Season One side characters to help him put together an emotionally manipulative ad sporting a dreary grayscale tones and a soothing voiceover. However, instead of then showing this home movie to Main our protagonist performs an about face at his employer’s door and decides to call a TV station in Colorado Springs to have the advert play during a rerun of Murder, She Wrote. The risk turns to success as calls flood into the law firm. Jimmy is pretty pleased with himself, that is until the deflating call from his employer summons him to a meeting to review the commercial and survey the damage. Throughout our lives we certainly become less rebellious. There’s an argument this is biological: from toddler to teen young humans instinctively push and poke the bubble of authority to test its limits but as we grow older we naturally, though not always willingly, accept the rules of nature, of law, of humanity. Jimmy’s core traits do not congeal with this. He’s a guy who operates outside of the norm, seeking shortcuts and loopholes and manipulating any who are naïve enough to follow the piper’s flute. The man has no time and no patience for conformity, and not in the punk rock anarchy sense. He absolutely wants a system of rules in place but he doesn’t want to be subject to it. Simply, he’s more clever than you, but you won’t figure that out until it’s way too late. I’m no conman, nor as quick-witted as Better Call Saul’s main character, but I relate heavily with the idea of being hemmed in society, of having the play by rules that seem intended for everyone else. It’s an extremely selfish notion, but like Walt’s seedy rise, it’s something that nods to a dark, nuanced corner of man’s soul. This unification of theme and purpose finally gives this show a deeper attraction beyond good overall craftsmanship. Just speaking for myself I finally found something unique in Jimmy that bonded me to the character in a specific way. The nihilist, prankster, non-PC voice that I pushed down after years of job interviews, submitted rent checks and routine teeth brushing rises up out of nowhere and goes “Hell yeah!” when Jimmy bucks conformity and sneers in the face of the unspoken, unseen Rule Book of General Etiquette. Jimmy’s slow awakening as an idiosyncratic force allows the show to feel pointed and more purposeful, but then the Mike subplot rolls in and sorta squashes that ubiquity. He’s a good character but his story is pretty darn detached from the protagonist. In this episode we find him visiting his daughter-in-law and granddaughter, and all is normative until the former expresses worry in regard to hearing gunshots in the neighborhood. The ever-vigilant Mike, extremely protective of his remaining family after the murder of his son by their police brethren, sets up shop outside the home all through the eve. It’s an uneventful but surprisingly intense scene that only really produces one bit of new information: Mike likes to listen to baseball games. Morning arrives and Mike shambles into work like a zombie only to be immediately summoned back to the home by a panicky Stacey. When he pulls up he’s shown a notch etched into the side of the house and claims from his daughter-in-law that she heard several more shots the previous evening. He doesn’t tell her he was sitting outside the whole time and heard nothing, but he does say that it’s probably a good time for the girls to move. It’s a pretty strange sequence as there is a slight implication that Stacey may be lying, perhaps to get a new house or something, but it’s probably also just as likely she is completely imagining things based on the tragic loss of her husband. Either way, it seems the intended purpose of this scene is propel Mike’s need for cash to greater heights thus making him fall deeper into the dark abyss of the criminal world. He gets an opportunity to do so almost immediately. 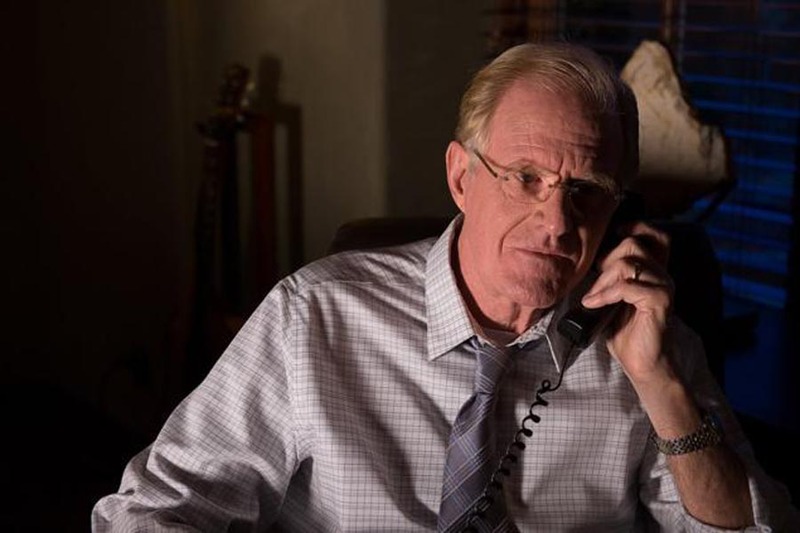 After visiting the veterinarian who networks underworld jobs Mike receives a call for a lucrative gig offered by someone who asked for him specifically. When he arrives at the assigned locale he’s met by Nacho Varga. Fin. 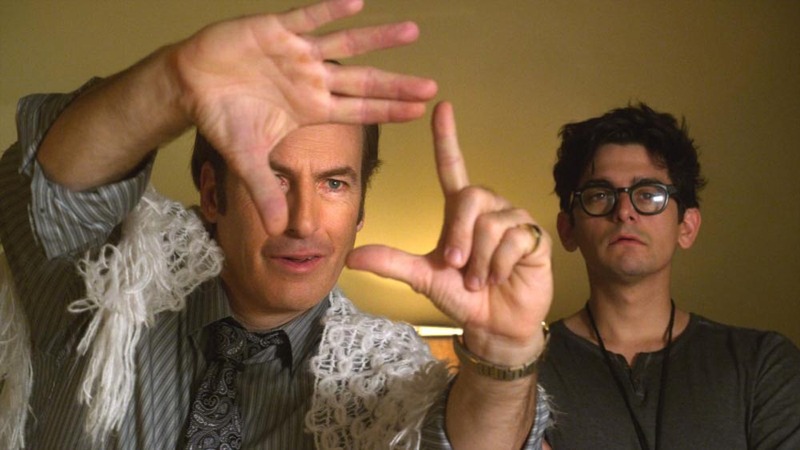 Better Call Saul is getting a little bit better with the passing of each episode. As Jimmy McGill continues to define himself, as we slink closer to Saul Goodman, we see a man doing wrong things because they feel right. This concept has hooked me in a surprising way and considering the already great quality of the series I’m drilled in like a senior citizen watching Jessica Fletcher solve a kooky murder in Cabot Cove. 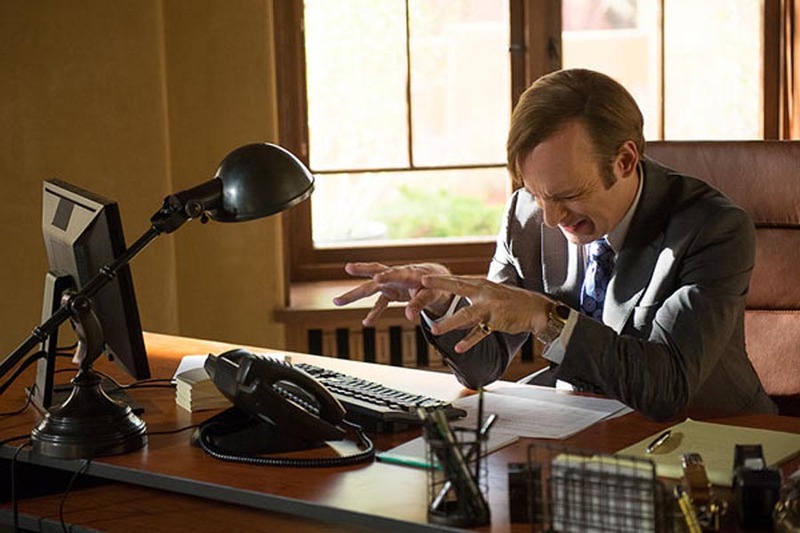 Better Call Saul 2.03 "Amarillo"